Business users – such as analysts, managers and consultants – have often struggled to document their business processes because no easy to use tools have been available for this purpose. This generates a mish-mash of different files and formats that are difficult to share and so results in half-hearted attempts at process documentation that are often incomplete at best or even inaccurate at worst. 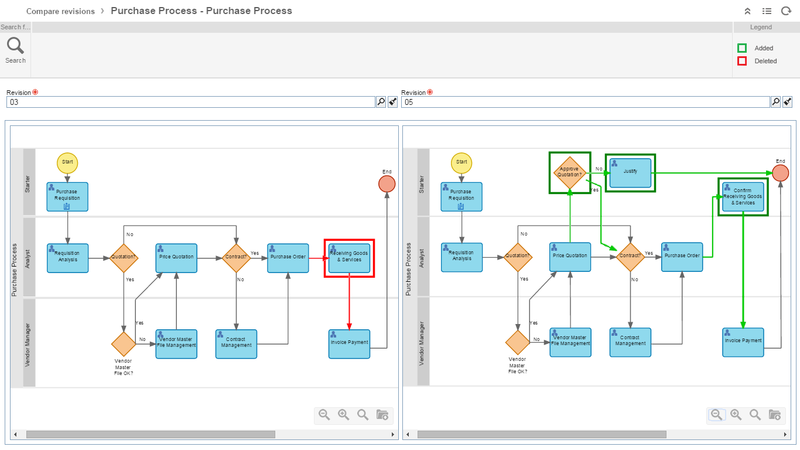 SoftExpert Process is a visual, easy-to-use and advanced business process modeling and analysis tool that help business users to understand, document, and deploy business process better. 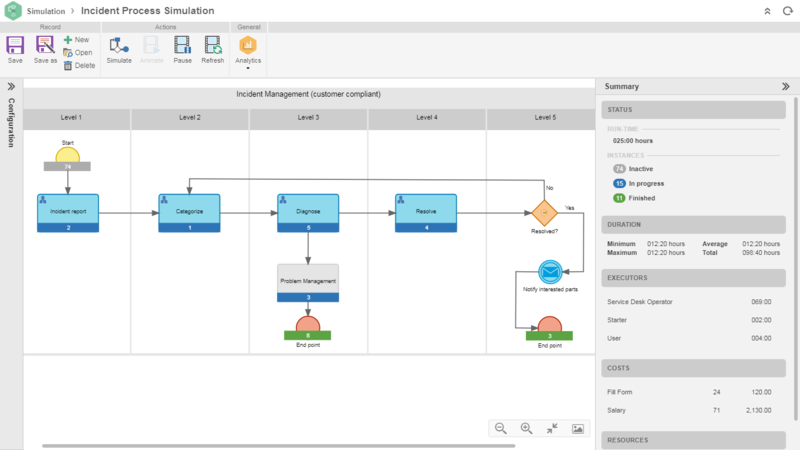 With a comprehensive set of tools, SoftExpert Process software empowers business users to write business logic, connect to existing applications and assemble user interfaces for human interaction. Through its central repository, SoftExpert Process allows multiple modelers to work on developing and maintaining process models concurrently. Furthermore, the web-based deployment makes business process knowledge permanently accessible to users. This enterprise process repository guarantees simple navigation through multiple levels of process hierarchy. The concepts and features provided by SoftExpert Process meet all requirements established by international standards and regulations, such as BPMN, ISO 9000, ISO 14000, ISO 45001, COSO, FDA, ISO 22000 (HACCP), ISO 20000, ITIL, COBIT, IATF 16949, ISO/IEC 17025 and others. 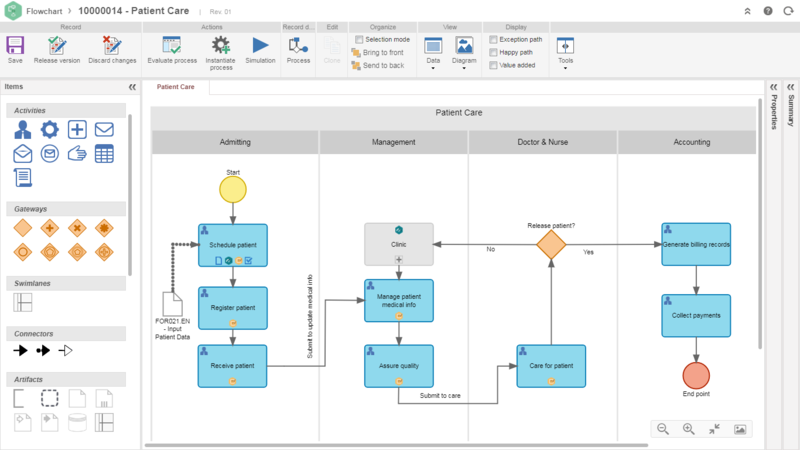 Imports existing Bizagi and Microsoft Visio business processes (VDX). 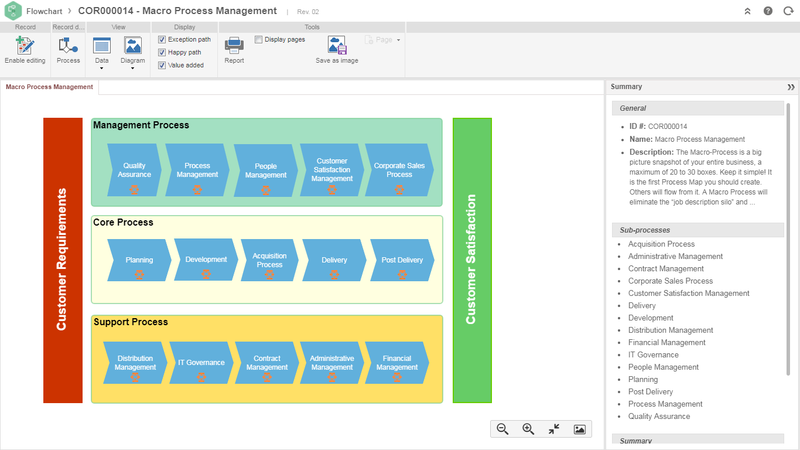 Dynamic and static on-demand publishing of business process knowledge. Web-based deployment makes business process knowledge permanently accessible to users. Managers can make decisions about how to optimize the process by knowing the cost of each step.